it. On top of that, the difficulty that goes into making a modeling tool work just the way we want it to also tends to makes us uncomfortable with the prospect of change. table where we can discuss them. other people as well. So, they are presented for your consideration with some confidence that there is merit to them. reflecting the very different uses that collections of boxes and lines can be put to. situations or specialties, and their representation is not constrained by any modeling principles. These are the models seen by John Zachman’s “business owners”. The collection of such models for an enterprise will overlap and often be inconsistent with each other. things. This is a conceptual model encompassing all the divergent models, and it uses various modeling disciplines to ensure that all things presented are organized coherently and consistently. This corresponds to the view of John Zachman’s “information system designers”, although your author would prefer to call this the “architect’s view”. “builders”, although your author would prefer to call this the perspective of the “designers”. 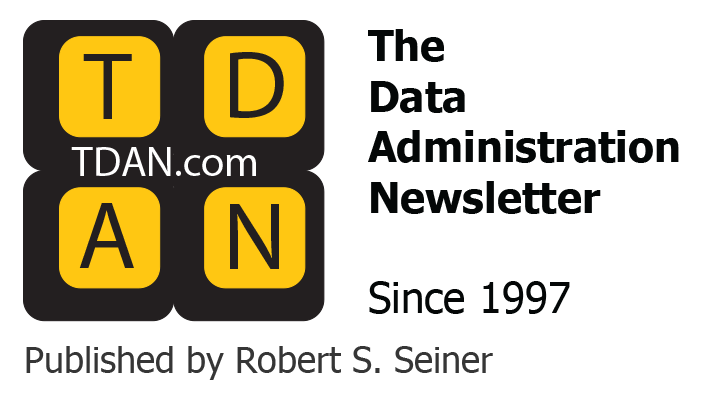 This article will address the conceptual-convergent-view of data modeling. This is the view that seems the most misunderstood-not the least because of its often being confused with the other two. stakeholders who will be responsible for any systems developed from it. For this reason, it is not only a tool for stimulating and disciplining thought processes but also a tool for communication. The issues described in this article, then, have to do with aesthetics as well as with clarity and coherence of thought. as a UML design model describing the bits of program code that are design classes. the people who define and use it. This requires all the graphic and linguistic help you can get. definition, that each box is properly aligned, and that each symbol is in exactly the right position, you will never produce a great model, no matter what technique or approach you use. Entity types should represent, and be named after, the underlying nature of an object, not the role it plays in a particular context. Entity types should be part of a sub-type/super-type hierarchy (“class hierarchy” if you’re familiar with object oriented terms) in order to define a universal context for the model. Activities and associations should be represented by entity types (not relationships). Relationships (in the entity/relationship sense) should only be used to express the involvement of entity types with activities or associations. 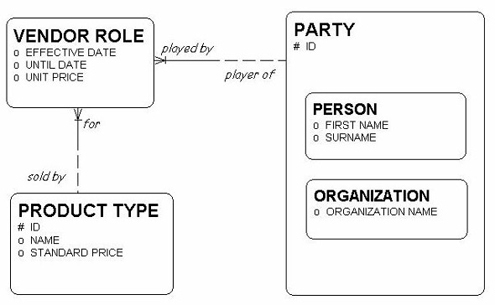 Candidate attributes should be suspected of representing relationships to other entity types. combine references to things with the roles they play. 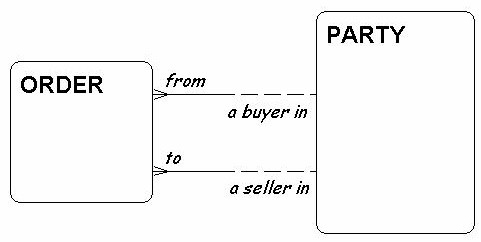 Figure 1 shows two common models, describing customer and vendor: Each customer may be a buyer in one or more sales orders; Each vendor may be a seller in one or more purchase orders. “customerness” and the “vendorness” of a person or an organization into its underlying definition, you are no longer able to deal with that definition separately. can be stored just like those for everyone else. normalized model. To say that all attributes of an entity type are a function of the key, the whole key, and nothing but the key is to say that they are in fact attributes of this thing. to be a very powerful way to represent the world. Among other things, it allows you to show that the concrete things most people see are examples of more general concepts. There are actually two justifications for setting up a sub-type/super-type structure-one formal and one informal. useful in the presentation of a model, to clarify the meaning of the super-type. “Bottom Depth” for wellbore; none for completion. 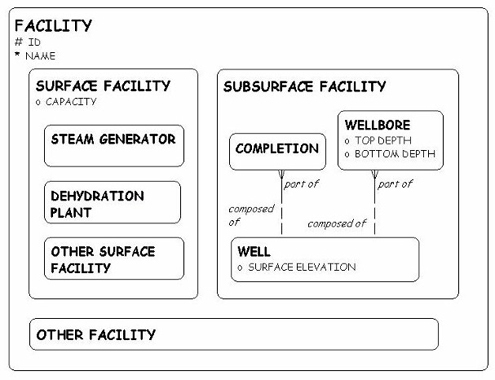 may in fact show different attributes for the different sub-types, but even if it did not, this would still be a reasonable way to present surface facility. The first draft of a model is likely to contain many-to-many relationships. Indeed even many of the one-to-many relationships, upon further reflection, turn out to be many-to-many relationships. entity types are really many-to-many relation-ships. received by a bank from a market research company. 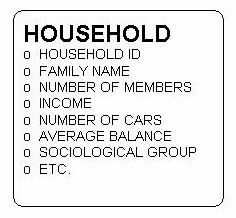 First, we draw an entity type for household, as shown in Figure 6. The attributes shown are those delivered by the market research company. attribute, but if we want to keep it over time, it needs its own entity type as well. This means that the model can be better represented as shown in Figure 7.
balance contains the household’s “Average balance” for multiple points in time, as designated by the “Effective date” of each occurrence. Model”, and a household parameter could be “Number of Jaguars”. Thus, the household parameter value of “Number of Jaguars” for “Jay Leno” could be “5”. your way to Figures 7 and 8.
uniquely assigned to each row. It has no inherent meaning and is used only to distinguish one row from another. encode all manner of information into the identifier is genuinely a bad idea. Surrogate identifiers are simpler, easier to implement, and a better guarantor of the integrity of the data. for an occurrence and keep the same occurrence. is using a surrogate for part of the identifier, it is useful to keep the natural identifier of the entity type visible. the product type that is sold by the vendor. If one of the relationships is optional, then of course this argument doesn’t fly. In that case a surrogate identifier is better. 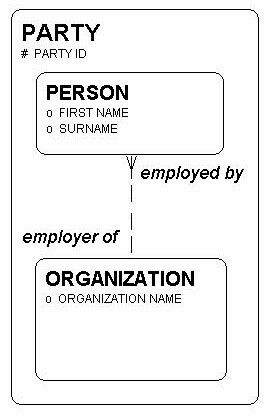 The second important dimension of data model quality is the use of adequate names for entity types, attributes, and relationships. 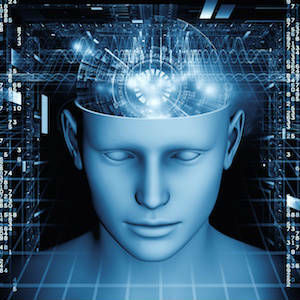 intuitive is counter-productive if the model is to be understood by the public at large. the foreign key columns are easier to understand. In most cases, however, descriptive attributes gain nothing but length when the entity type name is appended to it. More problematic is the desire to standardize the qualifiers (“amount”, “text”, “quantity”, etc.) to attribute names. This can be of value if the list of qualifiers is defined with care. Attribute names like “description text”, however, are simply silly. provides discipline, and it permits the relationships to be read as easy-to-understand but precise English sentences. When models are being presented to the public, this is extremely valuable. Each order must be from one and only one party. Each party may be a buyer in one or more orders. Each order must be to one and only one party. Each party may be a seller in one or more orders. Sentences in approximately this structure have been used throughout this article, and it is likely that you didn’t even notice. This is a very natural way to describe a relationship. viewer isn’t smart enough to understand it. It may simply be the case that the model wasn’t good enough. Oracle/SSADM notation-The best, in your author’s humble opinion, for reasons described below. Information Engineering-This is similar to the Oracle/SSADM notation and is aesthetically as good. is better than some and not as good as others. It has additional symbols that are most useful to object-oriented designers. IDEF1X-This is an extremely complex notation. It’s the sort of thing a government bureaucracy might use. Oh, wait! It’s the one that the U.S. Government does use! Seriously, it is oriented more toward relational design than toward analysis, and its notation is pretty forbidding to the novice. require the practitioner to learn new skills. 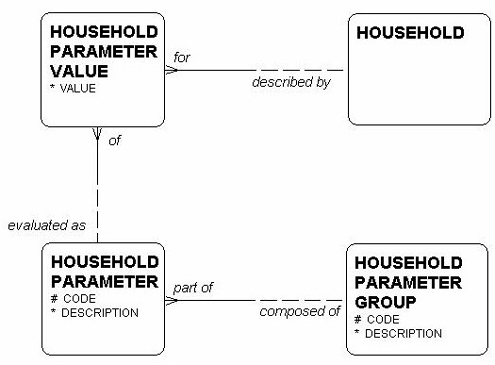 draw an entity/relationship diagram, many elements in the language are not suitable and must be left out of a conceptual model. notations that show sub-types outside super-types waste a great deal of space. whether foreign keys are involved. not of interest to the business person. UML is well suited for that transition. 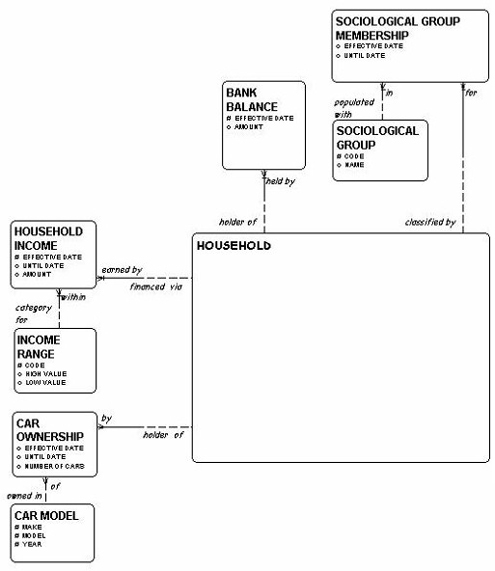 Many of you have been presented with a data model, only to be overwhelmed by the profusion of boxes and lines on the page. The invention of the plotter was not an unmixed blessing. stretch entity boxes. Following this rule makes it much less important whether or not lines cross. The eye doesn’t see the crossing because it’s focused on the relationship. One problem many models have is that there is no sense of organization. 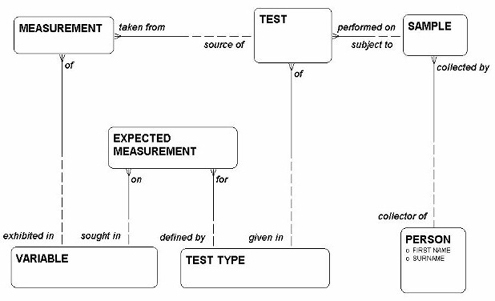 Figure 11 shows an example of a typical model. What is the model about? Measurements? Test Types? It’s hard to say. measurements. Note also that a measurement is similar in structure to expected measurement. Organization makes a big difference. to tidy up the relationship names, so that they don’t cross the relationship lines. fact of the matter is that there are ways that anyone can go about developing a model that greatly increase the chances of being successful. Introduce the project through a briefing session for the stakeholders-especially those who will be asked to participate. company reveal details of data, process, timing and business rule structures. Present models in a feedback session, so the stakeholders can verify that they correctly describe the business. Digest feedback responses and produce the final report. of collecting all the nouns from the interviews, posting them up (one per Post-it note) on a whiteboard and trying to infer structure from them. This required many iterations over many months. elaborating on them as necessary to accommodate the particulars of this organization. customer, or an agent for a vendor. An organization may be a customer, a department, or a vendor. Each of these are roles played by a person and they can be modeled in a straightforward manner. chemicals included? Other questions home in on facilities, procedures, and contracts. Just as data models provide structure to the enterprise, data model patterns provide structure to the process of modeling. is an important pre-requisite to data quality. Architecture (Englewood Cliffs, NJ: Prentice Hall, 2003), 5-6. Company Limited, 1994). These ideas are further expanded at http://www.matthew-west.org.uk/documents/princ03.pdf. 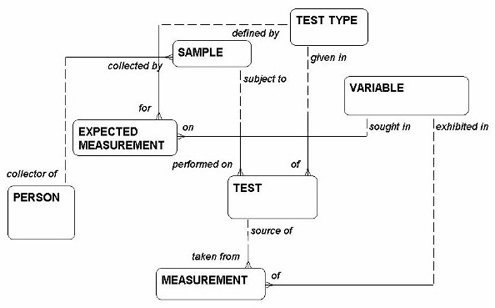 “Structured Systems Analysis Methodology”, commonly used in Europe. Edward R. Tufte, Envisioning Information. (Cheshire, Connecticut: Graphics Press, 1990), 53. For a full comparison of the most common notations, see Hay, Requirements Analysis, 343-387.
entity type in question and follow the trail of mandatory relationships to find all required entity types. David C. Hay, Data Model Patterns: Conventions of Thought. (New York: Dorset House, 1995). This article was originally published in Cutter IT Journal, Vol. 16, No. 1, January 2003. It is reprinted with permission of the publisher, Cutter Information, LLC, Arlington, MA USA www.cutter.com. 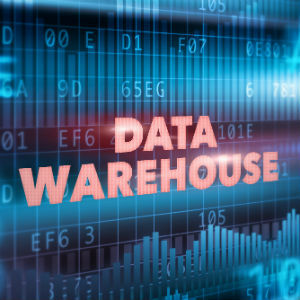 In the Information Industry since it was called “data processing”, Dave Hay has been producing data models to support strategic and requirements planning for thirty years. As President of Essential Strategies International for nearly twenty-five of those years, Dave has worked in a variety of industries and government agencies. These include banking, clinical pharmaceutical research, intelligence, highways, and all aspects of oil production and processing. Projects entailed defining corporate information architecture, identifing requirements, and planning strategies for the implementation of new systems. Dave’s recently-published book, “Enterprise Model Patterns: Describing the World”, is an “upper ontology” consisting of a comprehensive model of any enterprise—from several levels of abstraction. It is the successor to his ground-breaking 1995 book, “Data Model Patterns: Conventions of Thought”–the original book describing standard data model configurations for standard business situations. In addition, he has written other books on metadata, requirements analysis, and UML. He has spoken at numerous international and local data architecture, semantics, user group, and other conferences.